Superannuation research house SuperRatings has appointed new faces to its actuarial team to further grow its consulting arm. SuperRatings has hired a new general manager of consulting and a consulting manager which will help to bolster the team. 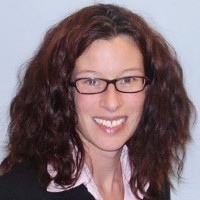 Rachael Povah has joined as general manager of consulting after 20 years of experience as an actuary in superannuation, and her focus will be on utilising SuperRatings’ data to identify growth opportunities. Minjie Shen joins as consulting manager tasked with improving their technical capabilities after experiences advising government and corporate trustees in previous roles. SuperRatings executive director Kirby Rappell said he was excited to have the two on board at a critical time for SuperRatings. “Their depth of experience, including in areas of product design, insurance pricing, and M&A due diligence will enable us to deliver a superior full service offering to the super industry,” he said. Ms Povah and Ms Shen will join the existing team of consultants that work across Sydney and Melbourne, said Mr Rappell. “Our mission is to help super funds maximise value for their members. “This requires a diverse set of skills and backgrounds to meet the different needs and challenges of individual funds. We are lucky to have a highly experienced team with a real passion for superannuation, and I look forward to working with everyone to secure members’ retirement outcomes,” he said.